Heart to Get necklace 5 crosses is from the Classic Collection. A collection with everything you always wanted. Necklaces with cute little symbols! You name it, we have it. This necklace wears the message ‘Holy chic’. Length of the necklace: 40cm + 4 cm extension. Available in silver or gold plated. Do you want to make your necklace a little longer? Shop an extension here! This necklace is perfect for matching with other Heart to Get necklaces! Match this necklace 5 crosses with our dangling necklaces to cheer up every outfit. Don’t wait too long and shop it now! We never have enough necklaces! 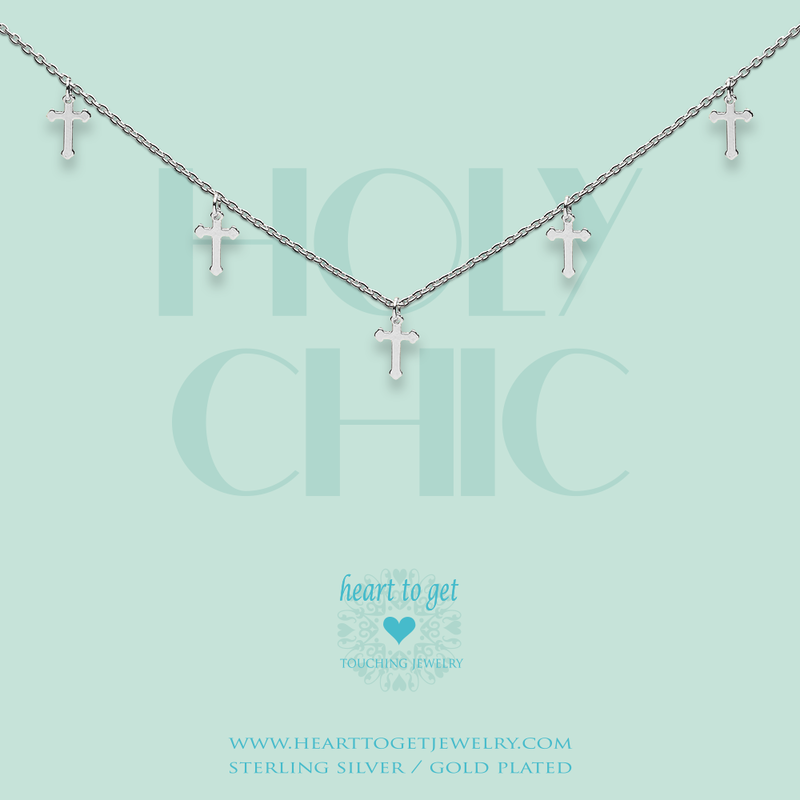 Mix and match this necklace 5 crosses together with other Heart to Get Jewelry necklaces.